Jackets personify the wearer. The Aviator jacket appeals to us as being the icon of rebellious youth. Tom Cruise in Topgun springs to mind. His sunglasses of the same name and brown patched jacket. We love him for his role in putting the Aviator on our radar and maybe not so much for his Scientology obsession that has frightened away many a spouse. More importantly, the question was whether to go full on Rebel without a cause or to have a feminine twist. In anticipation of Spring, (the spring that never seems to arrive), we decided to roll out a sensible, cosy N.Peal cashmere jumper [N.Peal women’s collection] and a floaty Alice and Olivia skirt in all its embellished glory [Find their skirts |Here at Harvey Nichols] . We loved the edgy yet chic contrast. What do you think? Do let us know in the comments below or on Instagram,Twitter or Facebook. Also, you might be interested in our other related posts about The Bomber Jacket Here and The Band Geek Here. Oh yes, and Stuart Weitzman’s Clinger boots held up so well as I navigated the cobbled streets around our home. Comfort and Style are hard to find in any pair of boots these days. One element always falls short. But with Mr Weitzmans boots my feet always stay happy throughout the day even if a lot of walking is required of us Londoners. More from him and his latest Spring Collection Here. 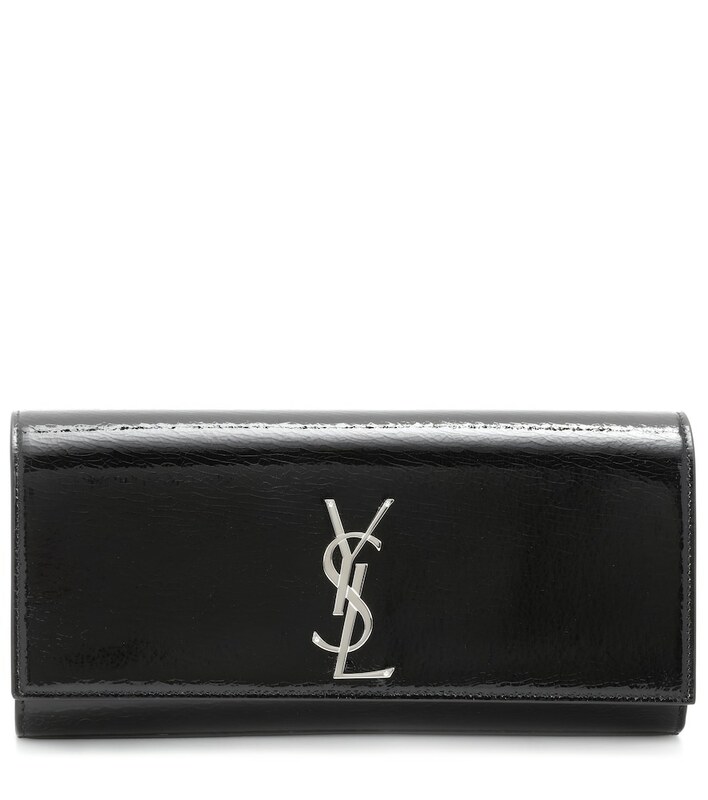 Finishing off the look, our simple Saint Laurent silver clutch which fits everything despite its compact size. If you are looking for a little clutch that will not break the bank and is spacious enough to contain all your bits and bobs, this baby is ideal. Explore more Saint Laurent at mytheresa.com!